Looking for the best video downloader for an Android phone? Vidmate is what you need. The post has everything you need to know about it. 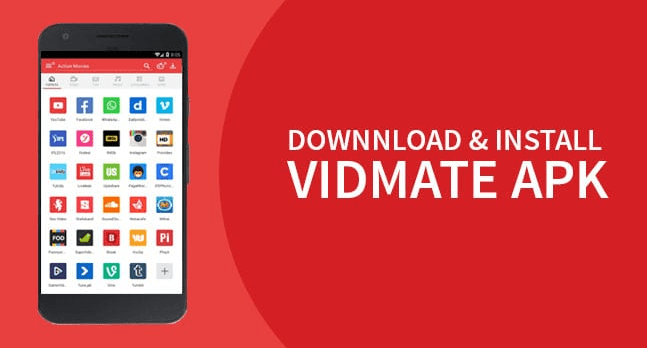 Vidmate is a popular Android app using which users can stream and download music videos, movies, TV shows & Series and ever more. The application has an inbuilt browser that let users browse the web and find useful videos. It also has live tv channels in many regional and international languages which users can watch for free. You can bookmark a show to watch it later. Vidmate let you download the latest movies just after few days of the release. It supports various file formats like mp4, Flv, 3gp, and more from low quality to hd. Movies and music are available from old evergreen ones to the newest and pre-trending ones. On the videos, the rating from IMDB and users are given so that users can select only the best to spend your time on. Vidmate offers personalised recommendations based on your search history and interests and your pattern of searches so that all you see on your homepage is favourable to you. This information is not leaked anywhere. Over and above, the app is completely free of cost, and it has no unwanted ads that hinder the viewing experience. 1. On your Android phone visit this link and download the Vidmate app apk file. 2. Tap to start the installation process. But make sure that ‘Unknown source‘ option is enabled on your Android phone. This option is available under Security settings. Once the installation is completed, tap on the open button for start using the app. Alternatively, if you want to install Vidmate for PC, then you need to take help of any Android app player available on the internet. The most recommended one is a Bluestack player. Why don’t you give a try Vidmate app? Let me know your thoughts in the comments.